Card Maker and Label Designing Software is the premier solution for designing secure and easy to use cards and badges in simplified and easy way. Standard software to produce superior quality labels to fulfill specific business labeling needs without any expert help or support. Provides standard solution to design and create labels and cards using image designing tools. Provides image designing objects including Line, Ellipse, Pencil, Rectangle, Text, Barcode, Picture, Arc, Triangle and Star to design labels and tags. 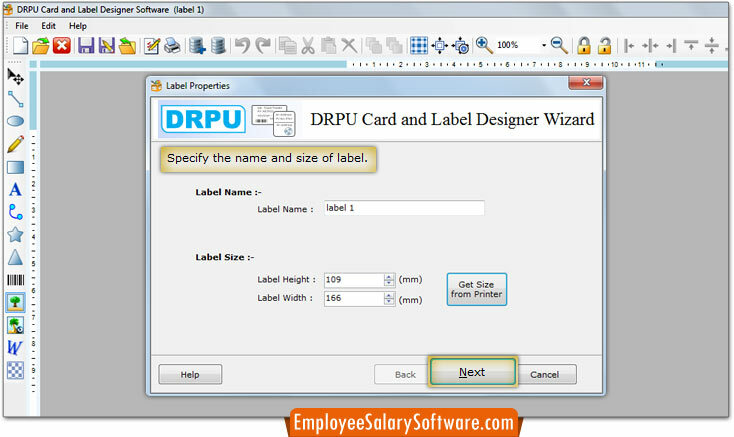 Facilitate to create label and card using wizard or with blank format. Specify the color and background settings of label to create colorful labels. Option to save created label on PC for future reference. Easily print created labels using advance print settings. Get labels designed for your personal or business needs from home or office desk. Cost-effective solution to create customized Labels, ID cards, Tags, Stickers etc. No expert training required to use the label designing and creation program.